Even though Wu Mei is repeatedly moved up to grades above those of her peers, it is only when she wins an international play-writing contest in high school that her father finally takes notice and grants her wish to attend college in England. Despite her parent’s heartbreaking neglect, she eventually becomes a doctor and realizes her dream of being a writer. After her mother dies giving birth to her, Adeline’s siblings, who consider her bad luck, scapegoat her, and her wealthy father and vain stepmother deprive her of friends and send her away to school. This riveting memoir of a turbulent childhood is enriched by Chinese-language lessons, a generous historical backdrop, and a half-dozen family photos; baldly expository dialogue is its only real flaw. — Copyright © 1999 The Horn Book, Inc. All rights reserved. “Chinese Cinderella” is the younger reader’s version of Adeline Yen Mah’s autobiography “Falling Leaves” and both versions are thoroughly worth reading. If however, you are under fifteen, then “Chinese Cinderella” makes for an easier read whilst still keeping the amazing experience of the author’s life intact. Told in first person narrative, “Chinese Cinderella” recounts the author’s extraordinary childhood as an unwanted daughter. Adeline Yen/Wu Mei (“Fifth Younger Sister”), never knew her mother, as she died soon after her birth. Because of this, she was deemed unlucky, and all photos of her mother were destroyed. Despite her wonderful academic talents which constantly keep her at the top of the class, her family constantly ignored or tormented her – she was bullied by her older brothers, spurned by her elder sister, ignored by her father and beaten by her stepmother Niang. Yet for all of this, each member of her family is presented as a real person, capable of both good and evil, and Adeline records their rare moments of kindness like they were precious gems. Her two sources of constant affection was her aunt Baba, an unmarried woman dependant on Adeline’s father and stepmother for financial support, and her grandfather caught between two worlds: the old traditions when a man his age wielded respect, and the new mindset which saw him as a burden and the object of harmful pranks by his grandson. Adeline records her entire childhood, through several schools and houses, through the people she meets and one very special duckling pet – Precious Little Treasure (or PLT for short) that she cares for. She records her sister’s wedding, her school friends, and her on-going quest for knowledge, and most surreal of all, her time at a convent in Tianjin that slowly empties, leaving her the only student left in the entire school. As well as this, Adeline explains the political upheaval and historical backdrop of her life in hindsight, something she obviously didn’t understand as a child. Throughout the sad and often terrible story of her life, Adeline’s narrative never once slips into whines or self-pity – everything is presented in such a simple, matter of fact manner that we never feel pity for her – only profound sorrow and sympathy. Her determination and dignity is amazing to behold, from her refusal to take money for the tram (even though her elder siblings soon give in) to her diligent studies and scholarship. Furthermore, she beautifully brings her childhood feelings to life; especially in regard to the deep sense of fear that all abused children carry. Although older readers know that nothing truly harmful would be allowed to happen to Adeline, the imagination and terror that a child’s mind can invoke made me just as fearful of Niang as she was. People often believe that abused children are indignant and outspoken about their home troubles, but Adeline clearly shows us that this is almost never the case – she is ashamed and secretive of her home life, and unfortunately the desire to keep their troubles hidden from their friends is the fate of most such children. The power of knowledge and perseverance is the theme at the forefront of this book: unlike the Western Cinderella who sat around crying for her fairy godmother, the Chinese Cinderella Ye Xian worked for her good fortune and so does Adeline herself. It is humbling to read of a girl so desperate for learning and education when we acquire it so easily but often don’t appreciate it. Adeline pours her heart and soul in her books, and often reflects on her love of reading, with passages that any book-lover will immediately understand, and any reluctant reader will hopefully take into account. come across as more tragic: people forgetting to pick her up from school, letters being prevented from reaching her, her family neglecting to tell her that her grandfather had died, the awful clothing she’s forced to wear, and most shocking of all, her father forgetting her name. The fact that Adeline makes it through all of this to become a stable and loving person is perhaps the biggest miracle of all. What a human being! The book also contains a preface, an author’s note on the names and languages used, a map of China, an historical note, some fascinating photographs of the family members, and a dedication “to all unwanted children.” Everyone, boy or girl, young or old, should be made to read this book. repeatedly found tears rolling down my cheeks not just out of pity but in appreciation of her strength and resillience. 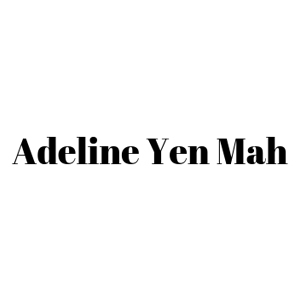 Many adult Americans would still be spending time with a psychotherapist and blaming their failures on this type of childhood.In Adeline Mah’s case it gave her a strength and determination I must say I envy. She may still be suffering but I found this book inspirational. write about her childhood without pitying herself for the bad incidents that happened in her life. I liked that as a child Adeline Yen Mah was always optimistic and positive about her future even though she went through very bad times. I wish the book would be longer and not end so abruptly. Because of reading this superb book I am almost certain that I will read her autobiography “Falling Leaves”. Chinese Cinderella is a heartwarming story. It is the story of adeline yen mah, a unwanted child. Her mother died when she was born so Adeline was considered as bad luck. It is her story of how she has got through her life. Niang her evil stepmother sent her away to boarding schools and she beat her as well. This is a sad and heartwarming story so please read it.